Chris Hemsworth was the victim of a prank on his birthday. CHRIS Hemsworth was pranked by one of his kids on his 35th birthday. 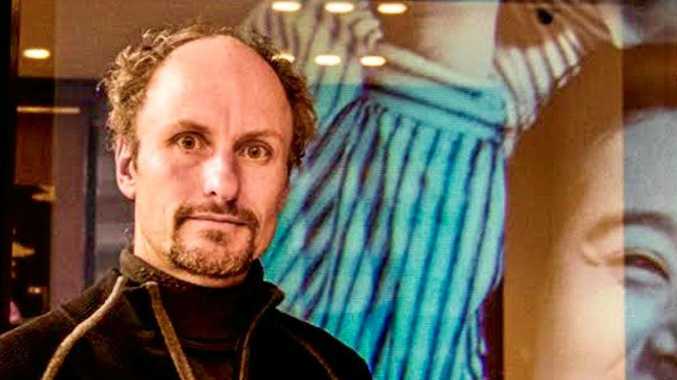 The Aussie actor shared a photo of his birthday cake on Instagram and revealed in the caption that he later ended up with icing all over his face. "Immediately after this shot was taken my son viciously attacked me from behind (due to his ninja training) and slammed my face into the flaming candles," Hemsworth wrote. "I'll now be playing Deadpool if @vancityreynolds (Ryan Reynolds) pulls the pin." 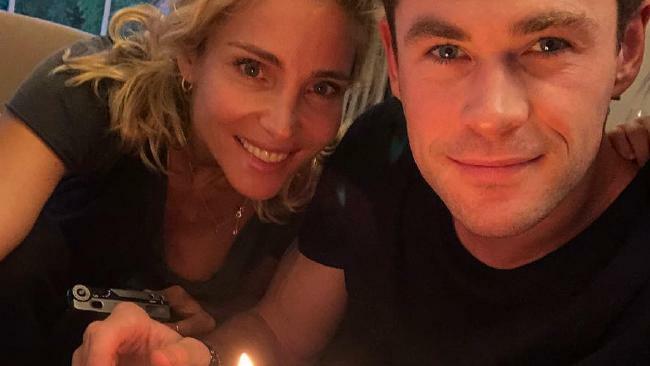 Chris Hemsworth shared this birthday snap on Instagram. 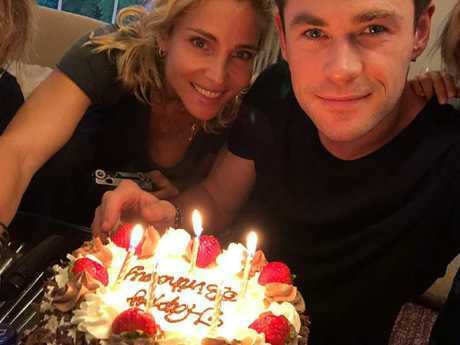 Hemsworth's wife, Elsa Pataky, gave a shout out to her hubby on his special day. She posted an adorable photo of the couple and wrote, "Happy birthday to my biggest child! I love you to death @chrishemsworth. Let's be kids forever!!" Elsa Pataky shared this photo on Instagram. A number of stars also used social media to wish Hemsworth a happy birthday, including both of his brothers. Liam Hemsworth wrote: "Happy birthday @chrishemsworth I remember the first time I ever threw a knife at your head, there was this look of pure fear in your eyes. You've come a long way from that scared little kid … proud of you. You're my hero. Love u heaps and heaps." 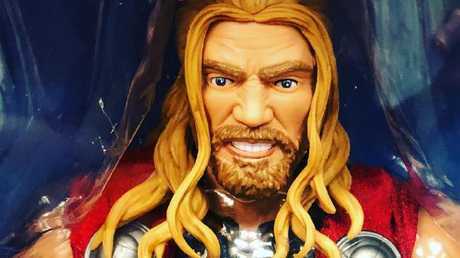 And Luke Hemsworth shared an amusing photo of a Thor action figure and wrote: "Happy birthday bro @chrishemsworth this is the best likeness I think. Uncanny." Luke Hemsworth posted this photo on Instagram. Dwayne "The Rock" Johnson wrote on Instagram: "Happy Birthday @chrishemsworth you handsome alien looking SOB! Many people in this world are so grateful you were born - I am not one of them. Enjoy your birthday w/ the ohana my brother and see ya down the road." He also recorded a special video for the Aussie star. Jeremy Renner, Henry Cavill, Gal Gadot Chris Pratt and Jessica Chastain also sent their best wishes to Hemsworth yesterday. Oh, and Josh Brolin sang a spectacularly bad version of Happy Birthday.